Who can bounce the longest? 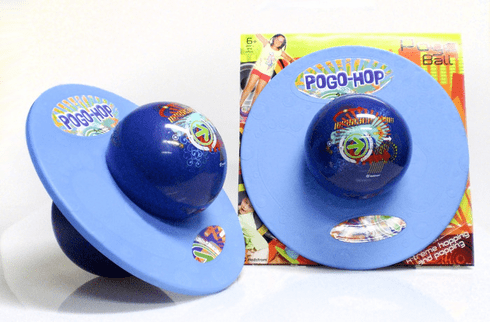 Put your balance to the test with this Pogo Hop. Just hop on, grip the ball with your feet and bounce, twist and turn. Recommended for ages 6 and up. Maximum weight 100 pounds.